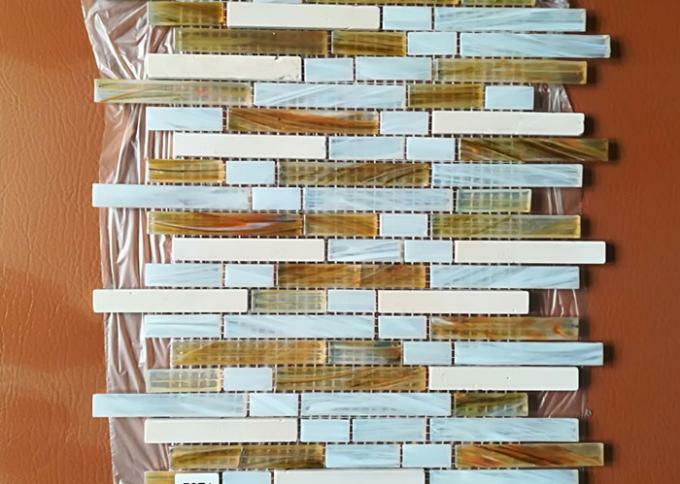 Glass mosaic and glass mosaic tiles or glass brick. It is a small size color decorated glass. The general specifications are 20 mm * 20 mm, 30 mm * 30 mm, 40 mm * 40 mm. The thickness is 4-6 millimeters. A small piece of glassy mosaic of various colors. 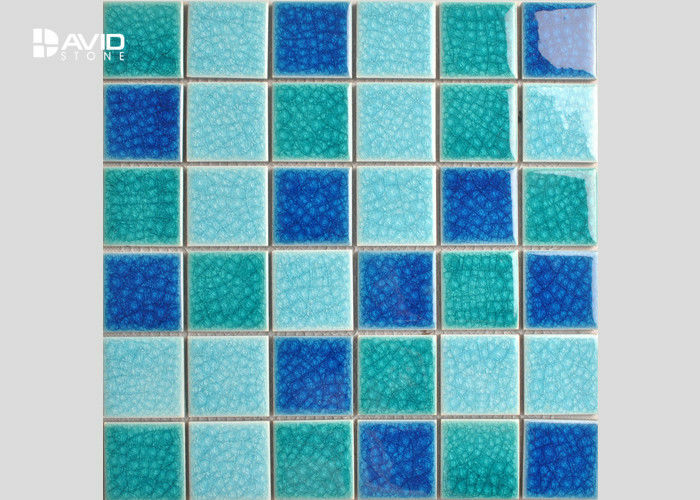 Glass mosaic is made of natural minerals and glass powder. It is the safest building material and also an outstanding environmental protection material. It is resistant to acid, alkali, corrosion resistance, and color faded, and is the most suitable building material for decoration and bathroom room wall ground. It is also considered to be the smallest decoration material. There are many possibilities of combinatorial change: concrete patterns, same color system deep and shallow jump or transition, or decorating decorative materials such as ceramic tiles. It has the advantages of soft tone, simplicity, elegance, beautiful appearance, chemical stability, good cold and heat stability, etc. And there are no discoloration, no dust, light weight, bond and other characteristics, mostly used in the interior of the interior, the outside of the balcony decoration. Its compressive strength, tensile strength, high temperature resistance, water resistance and acid resistance are all in accordance with the national standard. It includes crystal glass mosaic, 3D glass mosaic, Venus glass mosaic, pearl light glass mosaic, cloud glass mosaic, metal mosaic and so on. The sintering process of glass mosaic consists of melting and sintering. Melting method is made of quartz sand, limestone, feldspar, soda ash, coloring agent and emulsifier. After melting at high temperature, it is made by shaft calendering or plane calendering, and finally annealed. The sintering process is made of waste glass, adhesive and other materials, through pressing, drying, sintering, and annealing. Glass mosaic in the swimming pool, the science and Technology Museum, theater, television tower, kindergarten, playground (cm8), Taiwan Pavilion, pavilion, temple temple courtyard garden Island, bathroom furniture, Disco ballroom, skating rink, bars, clubs and so on, especially the night black case and the surrounding environment is used in indoor walls, the ground in the light emitting effect is more prominent. In the design and construction, if the auxiliary violet lamp, energy-saving lamp, fluorescent lamp for illumination, just after turning off the building itself, there will be jade general sparkling feeling, shining through the quiet deep, mysterious and extraordinary, add infinite romance to the building itself in the night. 1. Make sure that the construction surface is smooth and clean. After hitting the datum line, the mosaic neutral binder is applied on the construction surface. 2. Put the mosaic in accordance with the order. There should be a proper gap between each block. Each posting a block in a wooden mosaic will flatten, each are compaction and determine the binder combine. 3. The paper can be tore after the other day or after the adhesive is dry. After wetting the sticker with a sponge dipped in water, the paper can be tearing after the sticker is completely moist. 4. Fill in the seam. Use the tools to fill the gap with the mosaics crystal filling agent or the original binder and white cement. 5. Cleaning. Clean the excess sealant attached to the mosaic with a wet sponge, and then wipe it with dry cloth, that is, the construction steps are completed. Note: the mosaic of plastic mesh in the construction of plastic mesh in the construction of cement coated surface, can save step 3. 1, Select the consumer satisfaction or after-sales service letter home market. 2, The goods of the same style and the same brand should be taken into consideration in terms of quality, price, service and so on. 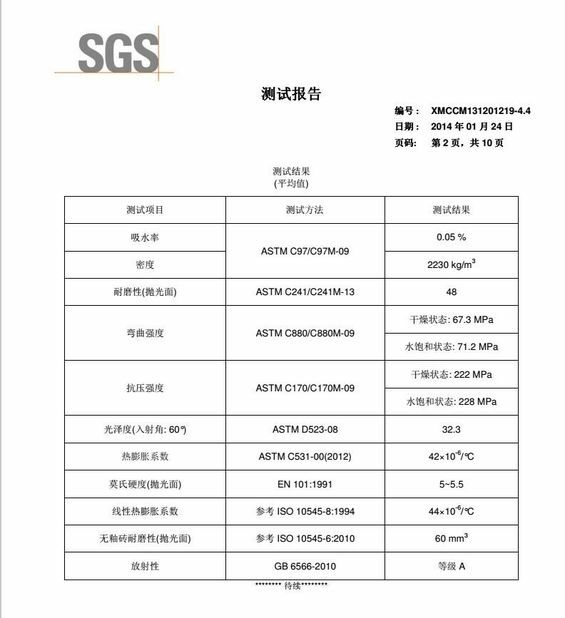 3, Ask for product environmental materials testing report. 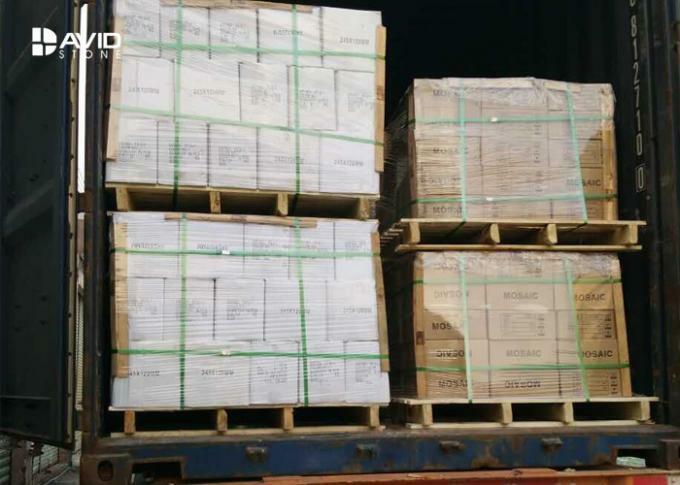 4, Check the appearance, such as whether there is color, size is consistent, whether the deformation of surface is uneven, needle, slag and corner defects. 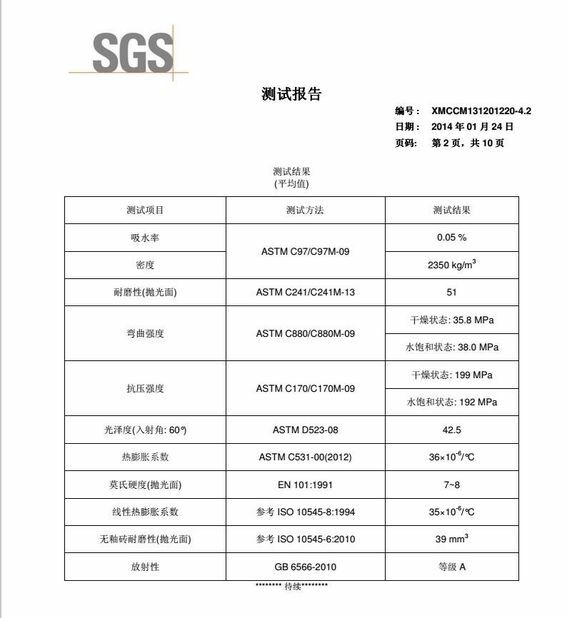 5, High quality mosaic water absorption rate is very low. If there is no water absorption rate on the product, then the tea or water droplet can be used on the back of mosaic. After a few minutes, the degree of diffusion of water droplets is observed. The more water is not absorbed, that means low water absorption and good quality. 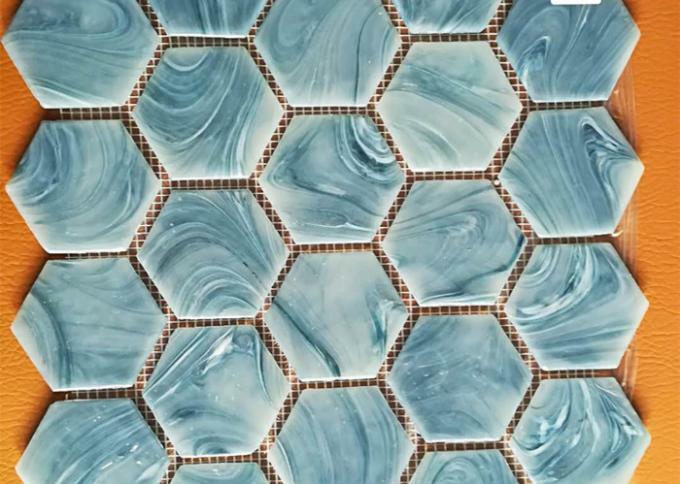 6, Check the degree of porcelain, can knock the mosaic to listen to the sound is crisp, the more crisp sound, that is, the texture of ceramic tiles with high density, better hardness.